South Africa is a land of contrast, and there are few other countries in Africa (and the world over in fact) where you can enjoy the same scenic and cultural diversity, not to mention diverse experiences with wildlife and natural beauty. South Africa offers the best of both a real ‘African’ style safari along with gorgeous coastlines waiting to be explored along the magnificent Garden Route, some World Heritage Sites, mountains and forests. 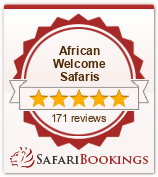 You’d be missing out to overlook the range of experiences a safari here offers. A safari in South Africa is not merely a luxury travel experience. It is an investment in yourself. You will be making memories to last you a lifetime and enjoying the exhilaration of immersing yourself in all this beautiful country has to offer. Favourable exchange rates make South Africa a highly sought-after destination among Foreign International Travellers simply because of the calibre of experience that can be enjoyed so affordably. It’s been said that people make a place and a visit to South Africa will prove this to you with each return trip. Those who come here are overwhelmed by the warmth and friendliness of the South African people – from the 5-star lodge staff to tour guides and the average man or woman on the street. South Africans are notorious for being welcoming and approachable, and it’s this vibe that will make you want to come back again and again. Pictures are worth a thousand words (and videos perhaps ten thousand! ), but you will find that the opportunities to drink in and capture, incredible scenery – much of which just cannot be found anywhere else in the world, is a massive drawcard for a South African safari. Keen on photographing the Big 5? No problem. How about a sunrise snap on top of Table Mountain, one of the 7 Natural Wonders of the World? We can arrange it. Interested in Whale Watching in pristine waters to take in the glory of these creatures in their natural habitat? You can do that too. The memories will not only be indelibly burned into your heart and mind, but you will have ample photographic and video evidence with which to amaze and entice your friends and family back home when you share them. South Africa is a mecca for foodies, and you will find that no matter what your preferences, catering in this country is sure to tickle your taste-buds at every turn. Explore traditional South African cuisine around a boma at your safari lodge in front of a roaring bonfire or dig into dishes you’re more familiar with if you prefer. Again, the diversity of the country and its cultures means there quite literally is something that appeals to everyone on the menu. And when you book your dream safari with us, you can rest assured that your every dietary requirement will be met – with creativity and enthusiasm.